If the Division of Child Protection and Permanency (“DCP&P”), formerly known as the Division of Youth and Family Services (“DYFS”), is involved with your family in Morris County, New Jersey, you are definitely facing a stressful situation. 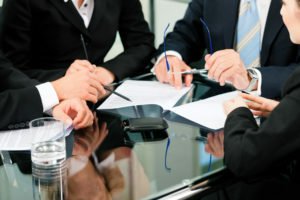 There are two DCP&P local offices in Morris County, the Morris East Local DCP&P Office in Morris Plains and the Morris West Local DCP&P Office in Randolph, and regardless of which local office you are dealing with, the Morris County DCP&P defense attorneys at the Tormey Law Firm are ready to help defend you and manage the situation. At every level of DCP&P involvement – investigations, litigation, and appeals – it is important to have an experienced DYFS attorney represent you to ensure that the Division is not over stepping any boundaries and that your family’s rights are being protected. The Morris County DCP&P defense lawyers at the Tormey Law Firm have one goal: to get DCP&P out of your family’s life as quickly as possible. The bottom line is that whether you are being investigated by the Division, if DCP&P took custody of your children and filed a complaint against you in Morris County Family Court, or if you have already been substantiated for abuse or neglect and you want to appeal the finding, the DYFS defense attorneys at the Tormey Law Firm are ready to assist you. With offices in Morristown NJ, our Morris County NJ DYFS attorneys represent clients in Dover, Denville, Kinnelon, Parsippany, and Mount Olive. Contact our offices now for a free initial consultation at (908)-356-6900. Hearings for care and supervision, custody, and guardianship matters in Morris County are heard at the Morris County Superior Court. The Morris County Superior Court is located at Washington & Court Streets, Morristown, NJ 07960-0910, is open from 8:30 a.m. to 4:30 p.m. and can be contacted at (973) 656-4000. Click here for more information regarding the Morris County Superior Court. For directions to the Morris County Superior Court, click here. DCP&P cases in Morris County will be handled by a Judge who sits in the Family Part of the Chancery Division of the Morris County Superior Court. The Presiding Judge of the Morris County Family Part is the Honorable Maritza Berdote Byrne P.J.F.P., whose chambers can be contacted at 973-656-3944. The Morris County Family Part also has the Children in Court Unit, with court staff dedicated to managing DCP&P cases that can be contacted at 973-656-4312. Click here for more information on the Morris County Family Court. There are two Division of Child Protection and Permanency local offices in Morris County, New Jersey. The Morris East Local Office is located at the Mack-Cali Corporate Center, 201 Littleton Road, Lower Level, Morris Plains, NJ 07950, and can be contacted at 973-829-3600. The Morris West Local Office is located at 855 Route 10 East, Randolph, NJ 07869, and can be contacted at 973-927-0931. For more information on the Morris County DCP&P local offices, click here. Admitting you need help can often be very difficult; however, getting help may be the key to getting DCP&P out of your family’s life. Whether the Division is involved with your family because of allegations of substance abuse or other parenting issues, there are a wealth of resources and family support services including counseling, therapy, and parenting education available to parents in Morris County from the Morris County Family Success Center, 73 Basset Highway, Dover, NJ 07801, phone: 973-620-9711. In addition to the family success center in Morris County, the New Jersey Parent Link has valuable information for parents regarding health and wellness, developmental and behavioral health, parenting education and family support services. For parents in Morris County who need substance abuse treatment, addiction services are available through Morris County Prevention Is Key, 25 West Main St. Rockaway, NJ 07866; phone: 973-625-1998. In addition to the substance abuse services in Morris County, the New Jersey Prevention Network focuses on providing substance abuse and addiction services throughout the State of New Jersey.